Simon Separghan is Head of Customer Contact for RBS and is responsible for the strategy, execution and delivery of Customer experience across a multi brand portfolio of RBS, Ulster Bank and NatWest. Having worked with some of the worlds most recognised brands, Simon has been relentless around creating a culture of care and ownership in organisations globally; recognising that in the moment, empathy, knowledge and disruptive technology is key to driving the best customer experience. 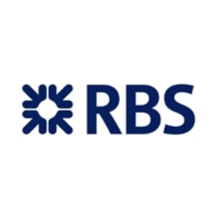 In his new role at the Royal Bank of Scotland, Simon is leading a team to make a difference in building emotional engagement in a digitally savvy world - whether it be through high volume traditional voice to social media to growing omnichannel capability. Prior to this, his relentless focus on customer confidence and staff development at Barclays saw how the culture has reaped real rewards; as NPS grew by over 50 points and colleague engagement rose by 15% globally. Through his experiences across these recognised brands, Simon will discuss how organisations can keep with change through a focus and lens on culture and CX transformation. What does ‘instant service’ mean for customers and how does this translate into the design and delivery of organisational services to meet their needs? Because of the increase in new channels for customer contact, it is important for organisations to harness excellent service design in order to develop a great understanding for knowing what your customer wants and expects at each contact point. In this workshop, you will dig deep into embracing design innovation, truly identify your customer and establishing joint initiatives with UX, CX and agile to ensure better customer care for the future.